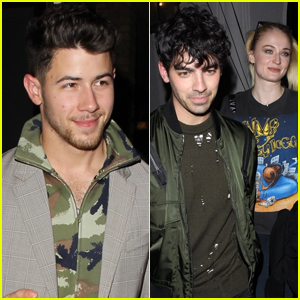 Nick Jonas Meets Up with Joe & Sophie Turner for Dinner! Nick Jonas flashes a smile as he leads the way out of Craig’s restaurant on Monday night (March 4) in West Hollywood, Calif. The 26-year-old singer looked cool in a gray suit over a camouflage hoodie as he grabbed dinner with brothers Kevin and Joe along with Sophie Turner. Earlier in the night, the Jonas Brothers dropped the director’s cut music video for their latest single “Sucker” – which you can check out here! Jonas Brothers Release Director's Cut for 'Sucker' Music Video - Watch Here! The Jonas Brothers just dropped the director’s cut for their hot new music video “Sucker”! Just a few days after releasing their new single, the guys – Nick, Joe, and Kevin – released an extended version of their music video with almost two extra minutes of footage! Jonas Brothers Team with Amazon for New Documentary Movie! The Jonas Brothers will be giving fans an inside look at their reunion in an upcoming documentary for Amazon! The film will show the band as they prepare for an upcoming tour. “Can’t wait for you guys to see this 👀 So excited to be partnering with @amazon to share our documentary with the world! !” they added on Twitter after the news was revealed. The Jonas Brothers snap a pic inside SiriusXM studios on Friday morning (March 1) in New York City. 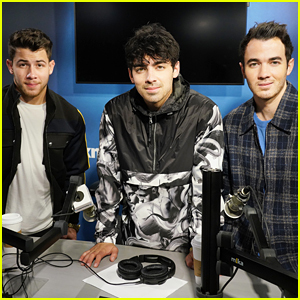 The three musicians – Joe, Nick and Kevin Jonas – swung by the studios to chat about reuniting after dropping their comeback single and video for “Sucker”. Kevin, Nick and Joe opened up about the reason they finally got back together after a five year hiatus, their new music and more! The guys also dished on including their S.O’s in the “Sucker” music video. “They were excited. I mean, I think that’s the cool part about this next chapter. We’ve been saying this, but family is our favorite ‘F word,’” Nick shared about Priyanka Chopra, Sophie Turner and Danielle Jonas‘ involvement. 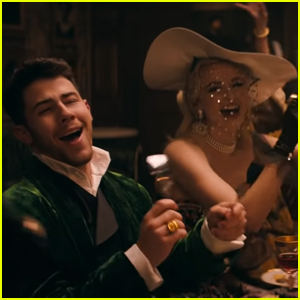 Jonas Brothers' 'Sucker' Video Stars Priyanka Chopra, Sophie Turner, & Danielle Jonas - Watch Now! 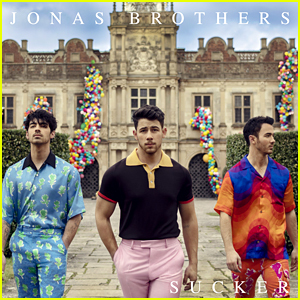 Jonas Brothers: 'Sucker' Stream, Lyrics & Download - Listen Now! The Jonas Brothers are officially back and their new single “Sucker” has arrived! 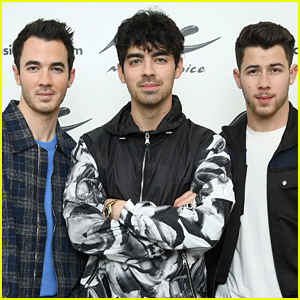 Nick, Joe, and Kevin surprised their fans by announcing on Thursday morning (February 28) that they will be reuniting as a band and that their song would be released that night. The JoBros have sold over 17 million albums worldwide and their songs have been streamed over a billion times. This will be their first new project since going on a hiatus in 2013. You can download the new song “Sucker” on iTunes and stream it here via Spotify. The music video is also out now!